Still from “ROMEO & JULIET” by Loredana and Mozzik. Our first track features the young singer crooning over crunchy drums and handclaps in his emotional break-out single. Kian’s tracks are filled with earworms on par with Sheeran, Mendes and other popular songwriters making music today. Check out his soothing acoustic pop style. For this playlist, I wanted to highlight upcoming rappers in the international scene. Two of Italy’s biggest trap artists star on this ground rumbling party anthem. Sfera has even branched into the American scene, releasing “Cupido” with Quavo last year. With a bouncy, up-tempo and tropical beat, this Ukrainian artist raps with Autotune dripping from his voice. There’s something almost hypnotic about Bra’s carefree flow. Fans of Rich the Kid and Swae Lee will enjoy Princess Bra. This catchy hip-hop track has amassed nearly 17 million views on Youtube in less than a month. Mero’s sing-a-long hooks and rapid fire verses are undeniably fun and entertaining. This is far from the last time you’ll be hearing about this budding star from Germany. The Latin pop duo sizzles over a sensual reggaeton beat, exclaiming their love for one another. These two are getting married in real life, which is yet another reminded that this romance is far from an act for a song. 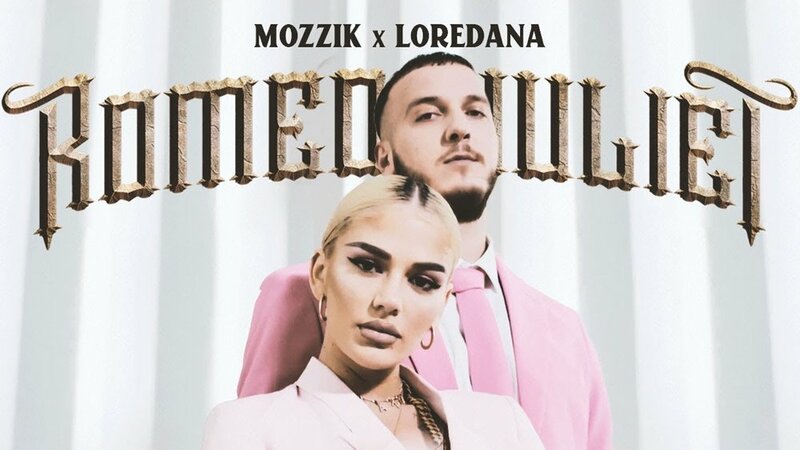 It’s even more exciting to announce that Loredana and Mozzik are expecting a child soon! A live horn section, synthesizers with laser sounds and a tight rhythm section compliment the Brazilian artist, providing him a timeless and contemporary style. Accordions, trumpets, saxophones, synthesizers, live drums and bass guitar make up the band behind Gabriel, a fitting sound for his romantic track concerning his love for Jenifer. The most unique and interesting song from this playlist features bilingual vocals. The verses of the track are from Salmo in Italian while the chorus or hook is sung by Nstasia in English. Perhaps, this is becoming commonplace for collaborations between international artists. This Denmark-based artist borrows elements from Latin trap and other hip-hop music to form a style of rap music that is growing in popularity: rappers who can actually sing. While I can’t understand each and every lyric, Gilli is able to express all the emotion of his words through his voice and vocal inflections. Certainly not one to miss if you enjoy Travis Scott or Tory Lanez. This 26-year-old Danish artist has made waves in the grime genre posting music through his own YouTube channel. This track, however, bears more similarities to Latin American pop music. I think that one of the most interesting things about Kesi and his style is the way he layers his voice with himself. If you enjoy acoustic singer/songwriters, then Scottish talent Capaldi will be the perfect way to complete your Valentine’s day vibes. His music reminds me some of Ed Sheeran’s early work, however there is something very unique and raw about the young Scottish artist’s heart wrenching vocals.